I know the Publisher Help isn't really ready for review yet, but I've found it useful in the prior betas. I can confirm that. 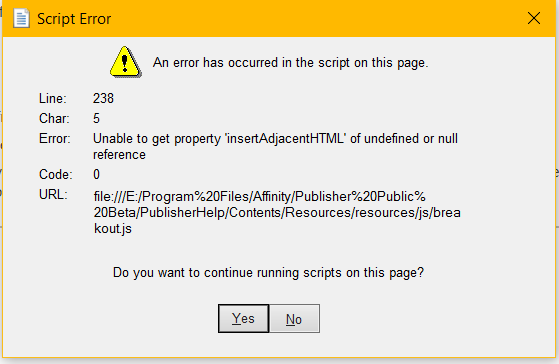 This script error appears on all pages I have called - but only from version 221. It's nothing big, but annoying.